Paired appendages are fundamental to the gnathostome body plan, and the positioning of these appendages along the anteroposterior body axis is critical for defining the overall form and function of the organism. For my dissertation research, I will be investigating macroevolutionary patterns of paired fins in actinopterygians and using zebrafish Danio rerio as an experimental model to elucidate mechanisms behind paired fin development. Unlike in animals, plant cells cannot migrate, meaning that plant form is determined by how cellular division planes are initially oriented and how subsequent growth occurs. Because tissues and organs can only arise from meristems, modifications in meristem patterning and regulation are responsible for creating morphological complexity. Since the vast majority of research has focused on meristem maintenance in angiosperms, and earlier-diverging plants have different meristem organization, there is a considerable gap in our present knowledge of meristem function in all land plants. The appearance of the shoot apical meristem (SAM) in land plants allowed them to gain more complex forms than their algal ancestors. By determining how the most ancient land plant meristems were regulated, we can discover how such complexity arose during evolution. For my MSc thesis, I investigated how meristems in Physcomitrella patens are regulated through staining gene expression reporter lines and beginning to construct amiRNA knockdown lines of candidate genes. The closure of the interoceanic seaways in the late Neogene significantly decreased nutrient supply in the Western Atlantic (WA) compared to the Tropical Eastern Pacific (TEP). Increase in parental investment is expected to be selectively favored in nutrient-poor environments as prolonged feeding in the plankton becomes less reliable. 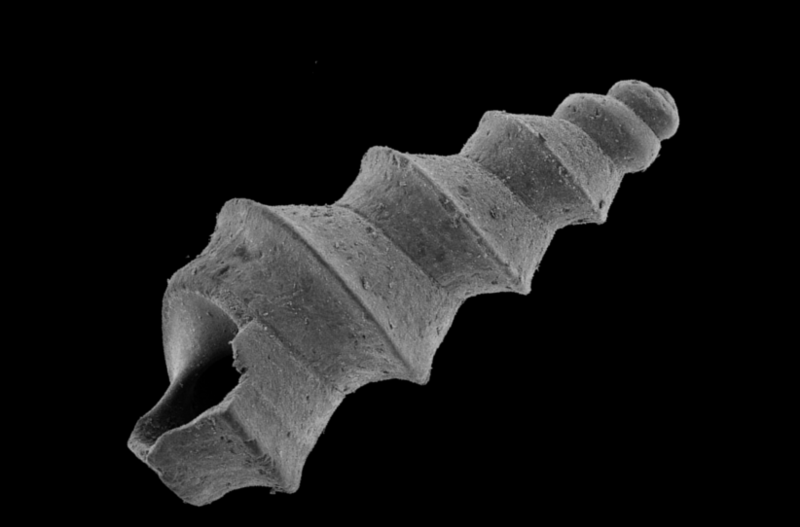 Here, we examine turritelline gastropods, which serve as important paleoenvironmental proxies, and test whether species exhibit decreased planktotrophy in the WA post-closure as compared to pre-closure fossils and extant TEP species. We also test for differences in degree of planktotrophy in extant sister species pairs. Degree of planktotrophy was inferred by measuring the size of protoconchs, the species’ larval shell that represents egg size. Protoconch size was compared between extant post-closure WA and TEP species and pre-closure fossil species. To compare extant sister species, we reconstructed the phylogeny of available WA and TEP species using one nuclear (H3) and three mitochondrial markers (12S, 16S, COI). Compared to the pre-closure fossils, protoconch size increased in WA species but remained the same in the TEP species. In the two extant sister species pairs recovered in the phylogenetic analysis, the WA species are non-planktotrophic while the TEP species are planktotrophic. This suggests that the decreased nutrient availability and primary productivity in the WA may have driven this change in developmental mode, and the primary selective force resulting in post-closure turritelline extinctions.